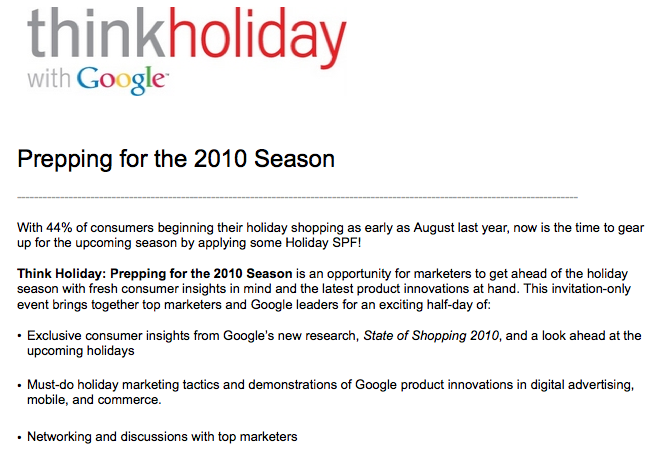 Google hosted their Think Holiday with Google in San Francisco, New York and Chicago in July. Below are video highlights from the invitation only Google event. This entry was posted on September 11, 2010 at 5:42 pm and is filed under Google Local, Google Mobile, Google Social, Think Holiday with Google. You can follow any responses to this entry through the RSS 2.0 feed. You can leave a response, or trackback from your own site.